Step into any U.S. history classroom or open any U.S. history textbook and the chances of an Asian American figure being the topic of discussion are rather slim. This is why one Ithaca College student organization continues to fight for an Asian American Studies Program, emphasizing that Asian American history is American history. This organization, called the Committee for Inclusive Education, hosted a Power Shuffle event on Mar. 1 to continue having the discussion on identities and how they are included in education. Tim Bidon was one of several white students who stepped into the circle after this question was asked. Bidon said it was important to be reminded how much privilege white people continue to have. Kristiana Reyes, one of the founders of the Committee for Inclusive Education, said the event accomplished its aim of sparking conversation concerning identity representation in education. 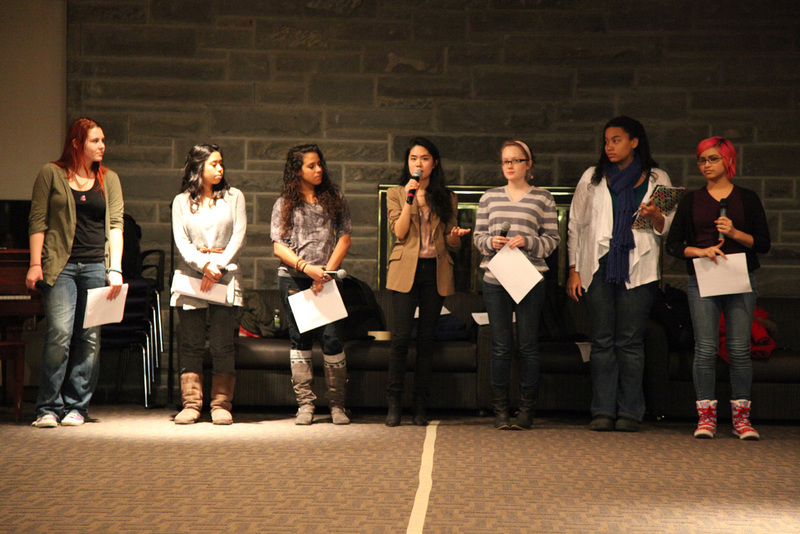 Reyes, along with students Kristy Zhen and Kaitlin Hibbs, founded the Committee and kicked off advocating for the minor by hosting Derek Chang, a professor from Cornell University’s Asian American Studies Program. This past Fall, the three screened a documentary they made titled “Missing in History,” which discussed the struggle to get a program. The Committee also hosted an identity panel, where students of various racial and gender identities discussed their experiences in the educational realm. The Committee also gathered more than 400 student signatures in support of a program. Bidon said he would take an Asian American Studies class if a program were created. Reyes said Asian Americans are often oversimplified as a culture. In 1999, Ithaca College’s Center for the Study of Culture, Race, and Ethnicity was created to develop an African, Latino, Asian, and Native American or ALANA-based curriculum. Asma Barlas, CSCRE program director, said that in order to develop new programs, the college has to have enough faculty on campus offering courses that can become part of that program. In 2006, the African Diaspora and Latino Studies minors were created. Barlas said now that there are enough professors offering courses concerning Asian Americans at the college, a program is ready to be implemented. Last month, Barlas submitted a proposal for an Asian American Studies Program to the Provost’s office. The proposal also requests one full-time faculty hire to teach only courses in the program. Barlas said this faculty member would be needed to create the program, and she hopes the Provost approves of both the minor and faculty position so CSCRE can start the hiring process this Fall. Barlas said the college should finish its curriculum dedicated to diversity. “Either this college shouldn’t have something called ALANA or if it does, and we’re an educational institution claiming to deliver an ALANA-focused curriculum, then we need to be able to deliver a curriculum that’s complete,” she said. Meanwhile, the college is in the midst of promoting its IC 20/20 plan, which would require students to take one diversity-focused class prior to graduation. The plan is also publicizing an Ithaca Center in China, though an Asian American Studies Program is not mentioned. Reyes said the college’s claim to value diversity seems insincere. Alyssa Figueroa is a senior journalism and politics major who wants to see ALANA completed. Email her at afiguer1[at]ithaca[dot]edu.